Fly-In Lakes and Descriptions | Northern Wilderness Outfitters Ltd.
Charter Flying Service to anywhere in Ontario! We'll also be happy to fly your group of 8-30 fishermen to any other lodge or lake that you need transportation to. We operate the most modern fleet of 9-passenger turbo-powered Otter floatplanes in Northwestern Ontario. Flight in and out, completely equipped outpost cabin with hot and cold running water and showers, gas barbecue grills, boats with padded swivel seats, motors, including a spare motor,all gass, and large scale maps. Standard trip includes five full days. Fly out the sixth day! For the person who does not mind doing his own cooking and would enjoy "roughing it" a little, our fly-in deluxe outpost cabins would be the trip for you. Each cabin is equipped with running hot and cold water, hot showers, wood heating stove, gas cookstove, gas refrigerator, solar lights, barbecue grill, eating and cooking utensils, large comfortable bunks with mattresses, large 14’aluminum boats with padded swivel boat seats, 6 hp Yamaha outboard motors, and an unlimited supply of outboard gas. We have a basic five-day fly-out the morning of the sixth day package plan. Extra days are $100.00/per person. For trips less than the five-day plan subtract $25.00/person/day. Our rates include all of the above plus flight in and out. All you have to bring is your own groceries including all fresh foods, as well as all dry goods, such as paper towels, toilet paper, matches, dish soap, garbage bags, etc. Also personal gear, fishing gear, life vests, sleeping bag and pillow. For your convenience we have a “No Hassle” food package available at a cost of $95 per person. 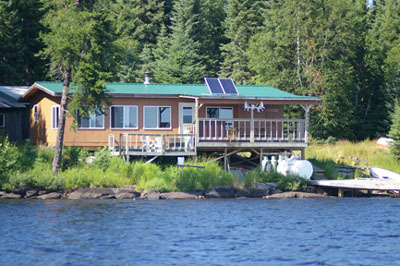 We have 2 cabins located on Tessup Lake that can accommodate parties of 6-8 fishermen each. Tessup Lake is known for its great walleye and northern fishing. For the person who wants to try his luck a little farther north we have seven outpost cabins located 145 miles north of our base and eleven outpost cabins located 200 miles north of our base. The walleye and northern fishing is fabulous. 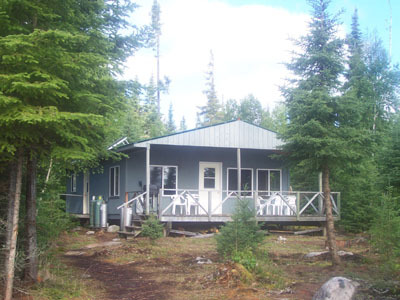 The seven outpost cabins located 145 miles north are on Glitter Lake, Dunne Lake, Pipio Lake, Dasant Lake, Moberly Lake, Holly Lake, and Bishop Lake. All of these cabins can accommodate parties of 8. The eleven cabins 200 miles north of our base are located on Wabakimi, Tew, Granite, Birch, Mink, Richardson, Carillon, Lil Shab, Okanse and Sessi lakes. 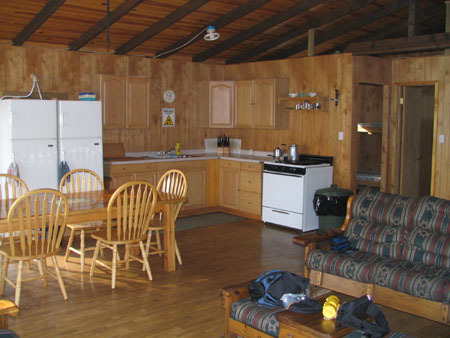 These cabins can accommodate a party of up to 6-10 fishermen. over from there in creating your trophy that will be so lifelike you will not believe it is a graphite replica. 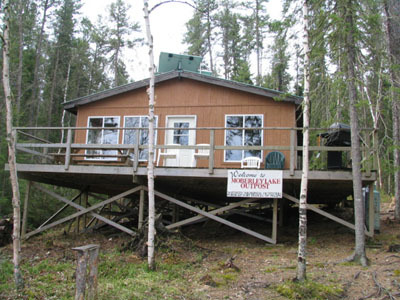 All Northern Wilderness Outpost Cabins are equipped with: * Running hot & cold water * Hot showers * Solar lights * Gas barbecue grill * Large deck area * Comfortable lounge furniture in cabin * Gas refrigerator / freezer * Swivel boat seats * Large gas cookstove * Gas fish cooker * Outdoor toilets with deep holes * Plenty of cooking pots, pans & utensils * Comfortable mattresses * Wood stoves for heating ...and other amenities to make your trip more comfortable.